Ever since I discovered the Terry’s Chocolate Orange balls years ago, I’ve been enamored of the chocolate-orange alliance. 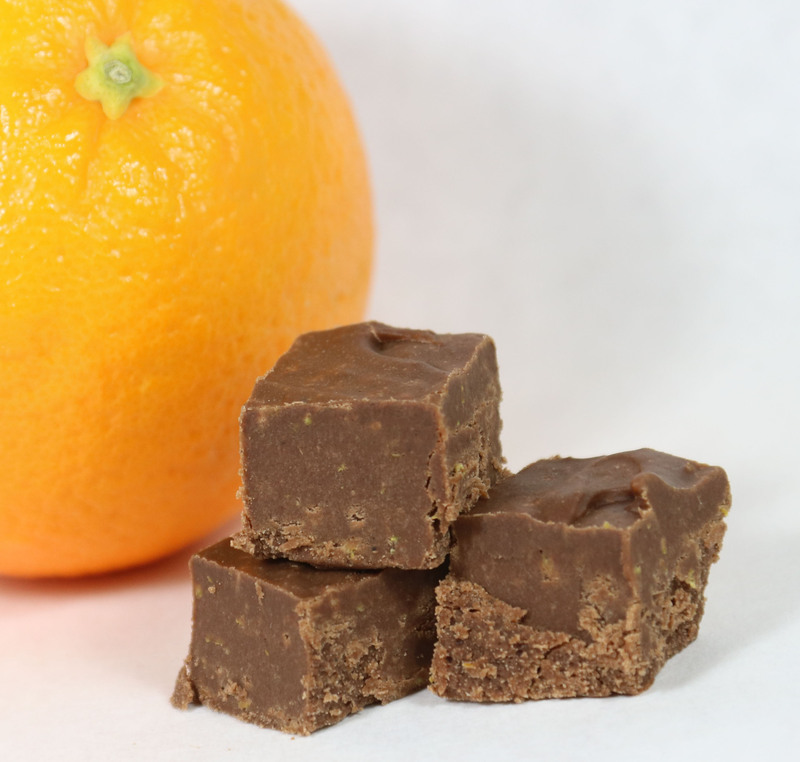 Citrus and chocolate seems like a weird combination, but it works so wonderfully well. I don’t know why it never occurred to me until now to try a fudge version of those chocolate orange treats, but better late than never. Heat the orange zest, orange juice, sugar, butter, and milk over medium heat to a full, rolling boil in 3 qt. heavy sauce pan, stirring constantly. Boil on medium heat until a candy thermometer reaches 234 degrees F, stirring constantly. Stir in the marshmallow creme. This entry was posted in fudge, recipes. Bookmark the permalink.